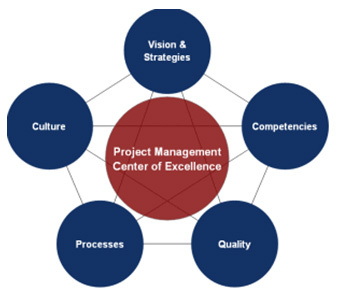 Infogeeks Project Management Centre of Excellence (PM-CoE) is a full fledged service, training, consulting and event management business unit specializing in project,program, portfolio and change management. We have on board Project Management certified professionals with wide industry expertise ranging across varied domains. Infogeeks PM-CoE subscribes to Project Management Institute’s code of ethics. It is focused on building capability in current project managers as well as developing the next generation of project managers within the organization. We ensure that we only provide you with the services for which we are qualified and only the services you require. Infogeeks PM-CoE combines the disciplines of project, program, portfolio and change management. We believe that project management and change management are inextricably linked and to practice one without the other significantly decreases the ability to achieve tangible benefits for your organization. Infogeeks Solutions is founded by a team of experts in the field of technology and business with wide experience in designing and developing custom software solutions and providing IT consulting services to Fortune 500 clients and global leaders in diverse fields ranging from Financial Services, Educational Service, Aviation to healthcare. Copyright © 2019 Training and Certification – Agile, Scrum, SAFe.